This week on The Bugcast: Chris from Canada presents a fluff-free jam-packed bumper music extravaganza, featuring 13 phenomental tracks of Creative Commons and independent music from Trent Severn, Double Experience, I Am Not Lefthanded, Chasing Eidolon, Heather Dale, Explosive Ear Candy, The Hedgerow Folk, Adam Wendler, Sydney Leigh, Jekk, Tamara Laurel, Jamie Rumley, and The Moose. 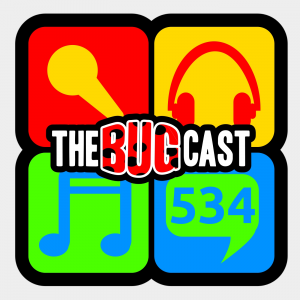 This week on The Bugcast: the state of the world, obsessions, and we play 8 amazing tracks of Creative Commons music from Color Out, Marco Polo, Degrees, Templeton Universe, The Hedgerow Folk, Lower Loveday, Forget The Whale, and Raincity Ghouls. the bugcast 475 – … to hear you, nice! This week on The Bugcast: Didn’t he do well? We talk about Brucie, the state of the world, and play 8 amazing tracks of independent and Creative Commons music from Avercage, Axel Antunes, Beat Six, Isra, One Missed May, Plants, Quinti Best Friend, and The Hedgerow Folk. This week on The Bugcast: skirts, flats, hits, and our amazing selection of 8 amazing tracks of Creative Commons and Independent music from Colaars, The Vow, Cortéz, Ellis Band, Finn Anderson, The Hedgerow Folk, Ocean Shiver, and Miss Daisy Black.